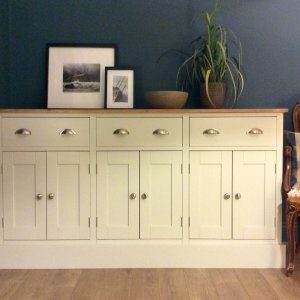 Wood sideboards are used in a dining room to store items, display silver dishes and serve food. They generally consisted of a set of cupboards or cabinets, one or two drawers and a flat surface at the top. 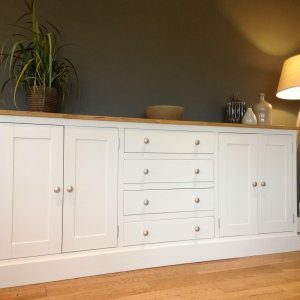 Although there has not been much change in the use of these pieces nowadays, you can also use this type of furniture as a TV sideboard for placing your entertainment system. 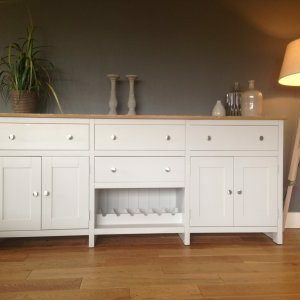 At Nest At Number 20 we have a very small but sophisticated and beautifully-crafted collection of sideboards made from natural solid pine. 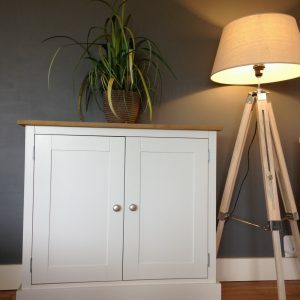 Our selection of solid pine sideboards ranges from larger 9ft models all the way down to the smaller 2 ft pieces. 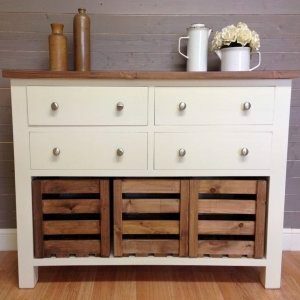 We can guarantee that our sideboards, just like the other furniture for sale on our site, are handcrafted from natural pine sourced locally. 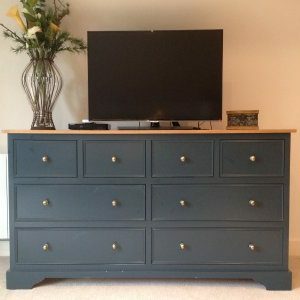 Our talented and experienced team use traditional skills to craft them and we can finish them the exclusive and attractive Farrow and Ball paint colour of your choosing. 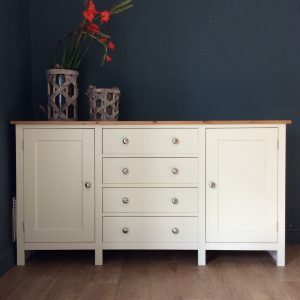 If you are interested in purchasing a solid pine sideboard from Nest At Number 20, have any further questions not answered on our site, or would like to make any other enquiries please do not hesitate to drop us an email at nestatnumber20@gmail.com.